I think I can say that 2014 is the year that I discovered the concept of biscuit spread. It was a bit of a new product when I first tried it, and it is difficult to explain to the uninitiated, but it is genius. Imagine that first time that a person said I'm going to boil up this fruit for nearly an hour and then put it on toast, strange looks ahoy, but I'm pretty sure that is how jam was born. We've moved on now and this time it is all about biscuit spreads. 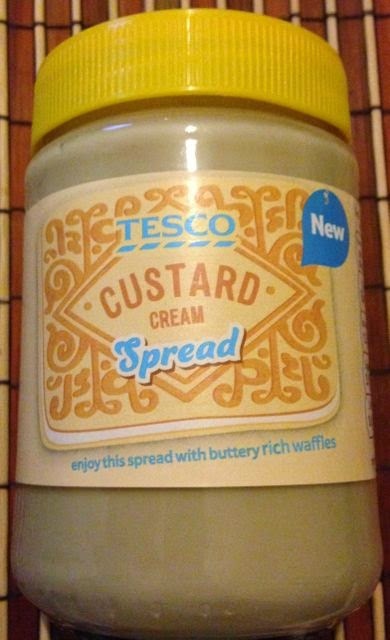 Tesco has gone to town, and now offer a range of flavours of biscuit spread from cookie to this custard cream. I opened up the jar and found the spread inside to be quiet soft, and more runny than expected. I scooped a portion out with a knife, and added it to my hot toast. 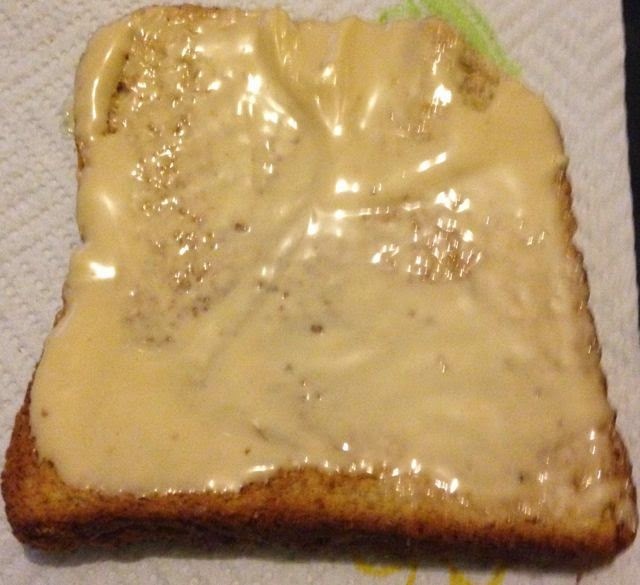 As I spread it I could see that the heat of the toast was helping it to melt. The cream coloured spread started to glisten. It is smooth, and quite silky despite being fairly thick, but it doesn’t have any crunch or the texture of biscuits. The flavour was mild, but creamy and biscuity and pure heaven. It had recreated spreadable custard cream biscuits perfectly, you could even pick up on the lush creamy filling flavour and the baked biscuity goodness. It was such a fab sweet treat, and my tastebuds are totally hooked on this new phenomena, I am going to have find some of the cookie flavoured spread too, it is turning into my new addiction. I also can’t wait to try this fine spread melting into hot waffles, with a scoop of ice cream on top for good measure. That is my next plan and I suspect I will be living the dream! Heck, I might just eat some out of the jar with a spoon too, I’m classy like that!